"A musician with brilliant technique and a colorful sound. His expression and phrasing prove a profound musical understanding"
"His wonderful tone and espressivo qualities allied to his phenomenal technique mark him as a musician of the highest order"
"If there is a more flawless oboist than Brynjar Hoff, I should like to know his name. I can think of no other performer who can cap his range of expression and fluency." "Brynjar Hoff is in my opinion one of the world's most accomplished and interesting oboe players. His repertoire is extraordinarily wide and include adventurous forays into contemporary music, while his style of playing is both aristocratic and extremely expressive." "His tone is rich, yet never "over-ripe", his phrasing is supple and musicianly and his individual use of vibrato exhibits taste as well as imagination." 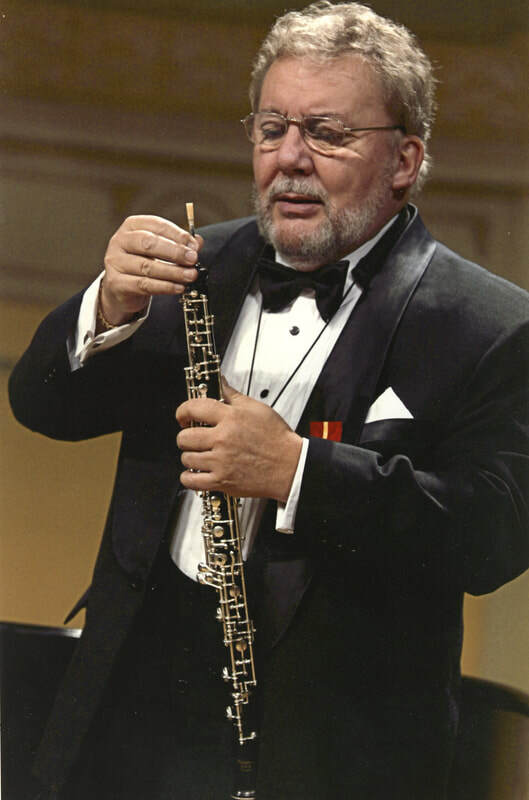 "Hoff 's oboe-tone owns a nobility that touches the most sensitive fibers of the listener." Hoff has a gorgeous, rich tone and is able so spin a wonderfully supple line, apparently endlessly. His oboe playing is always a pleasure to listen to.... notably the seductive tone of Hoff's oboe playing and his apparently effortless technique. Fully automatic website translation is possible with the translation language tools of Google™ . Just click on the translation button and select from more than 20 languages.